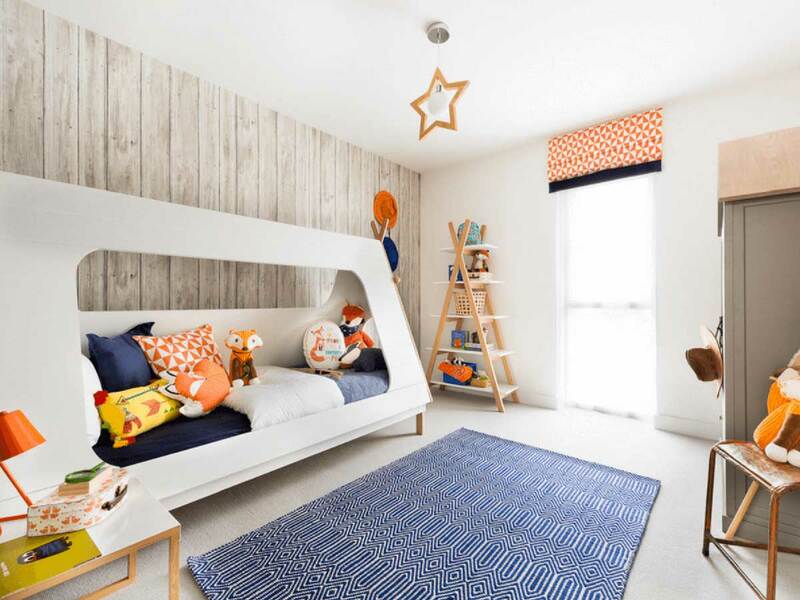 Children’s room ideas… If you’re redesigning your child’s room, don’t miss our fantastic ideas for children’s rooms – with all budgets, styles and fuss levels catered for. We have beautiful and practical schemes for all ages, from nurseries for new arrivals to tots and teenagers, plus fun playroom ideas for wet weather weekends. When decorating a kids room, colored walls don’t have to be your first step. In fact, we believe that keeping walls white or gray and adding in smaller bits of color. This gives you even more possibilities to make a kids room creative and playful. That, and it will keep you from repainting when they outgrow lime green or Barbie pink walls in three years. Trust us. When it comes to finding colorful accents, first consider what your child already has. Children’s books and stuffed animals are often fun colors, so put them in a place that doubles as decor. Wall decals, bedding, and rugs all can add color and pattern to a kids room, but can be easily changed with age. There are tons of fun ways to add bright pops of colors indoor to add cheer and vibrancy, regardless of the season. Decorative accents and accessories go a long way. From colorful rugs, garlands, bright art prints, whimsical decals and more, here are some easy ways to bring colors into any child’s room to welcome in playtime, anytime. These colorful decals come shaped as different sizes and styles of photo frames for a fun twist on how to hang up photos. Since they’re removable, the possibilities for arranging are endless.